President of Bosnia and Herzegovina speaks at conference organised by the Whistleblowing Research Unit at Middlesex University. 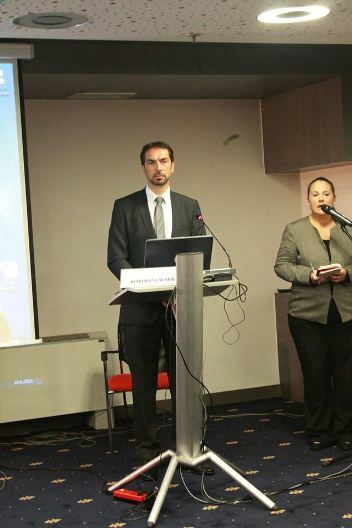 The President of the Federation of Bosnia and Herzegovina, Marenko Cavara (pictured), provided opening remarks at the fifth International Whistleblowing Research Network Conference in Sarajevo, organised by the Whistleblowing Research Unit at Middlesex University. Drawing the attention of the national media to the problem of corruption in his country, Cavara outlined his desire to implement effective anti-corruption measures to an international group of senior staff, legislators and academics. According to David Lewis, Professor of Employment Law at Middlesex University and the network convener, this was a particularly important event, being the first such research conference in south-east Europe. NGO advisers attended a workshop after the presentations, facilitating interactive discussions, and Professor Lewis said that "many of the delegates attending from the region picked up ideas about good practice and procedures that they wished to see implemented in their own countries." A wide range of issues was discussed, including: legislative developments; whistleblowing in particular industries; the impact of whistleblowing on mental and physical health; the transnational role of government-appointed regulators and the lack of protection for disclosers of suspected wrongdoing in national security agencies.